UTC and La Jolla free pizza delivery within 2 mile radius of store. $23.95 minimum order. 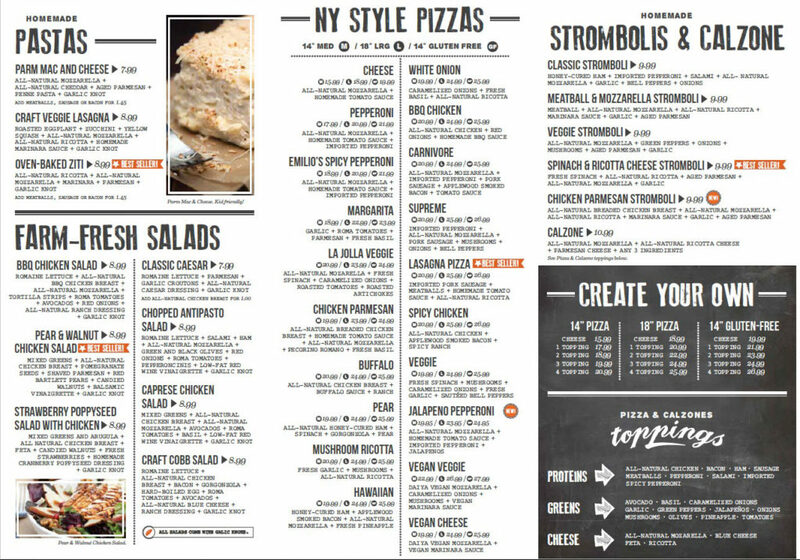 Get Zagat-rated fresh pizza, pasta and salads delivered right to your door in La Jolla & UTC. Our philosophy is simple. Serve chef quality food at an affordable price. Quality is at the forefront of everything we do. 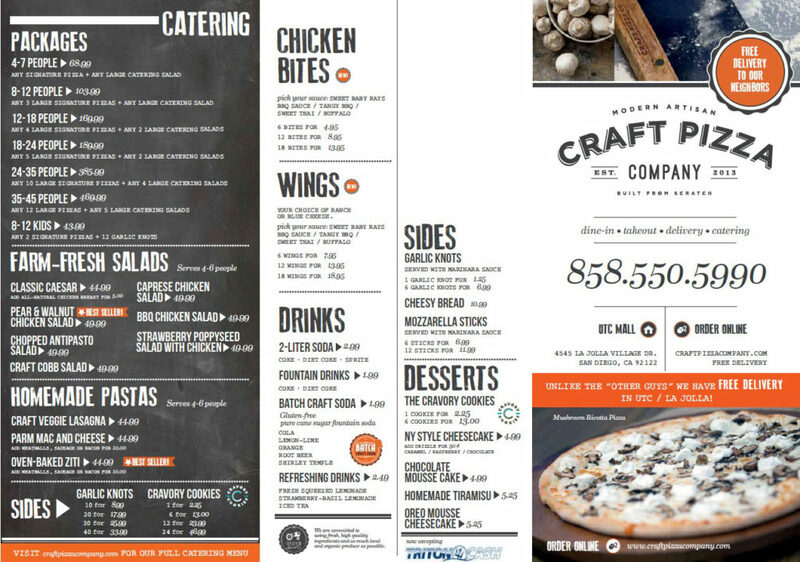 Craft Pizza have partnered with Triton Cash to offer you some great deals using your Triton Card! Click the logo to find out more. Hand crafted artisan pizzas. We have no secret formula or fancy tricks. Just nature’s goodness and careful preparation. All of our pastas & strombolis are homemade. Farm fresh gourmet salads. We are committed to using fresh, high quality ingredients and as much local and organic produce as possible. Homemade sides, and delicious treats to end the meal right. Delicious treats to end the meal right. Give the local made, Batch Craft Sodas a try.